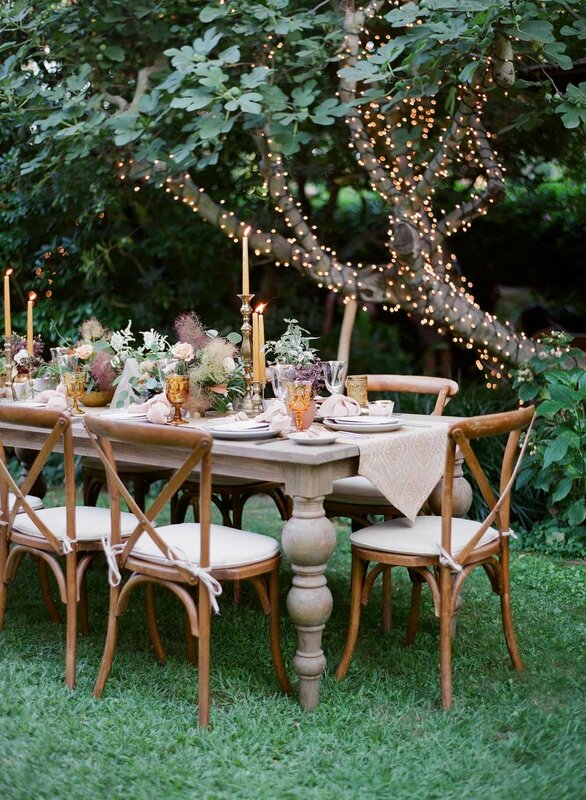 Imagine a magical secret garden, full of fabulous flowers & flickering candles, tucked away behind a gorgeous historic home in sunny California. 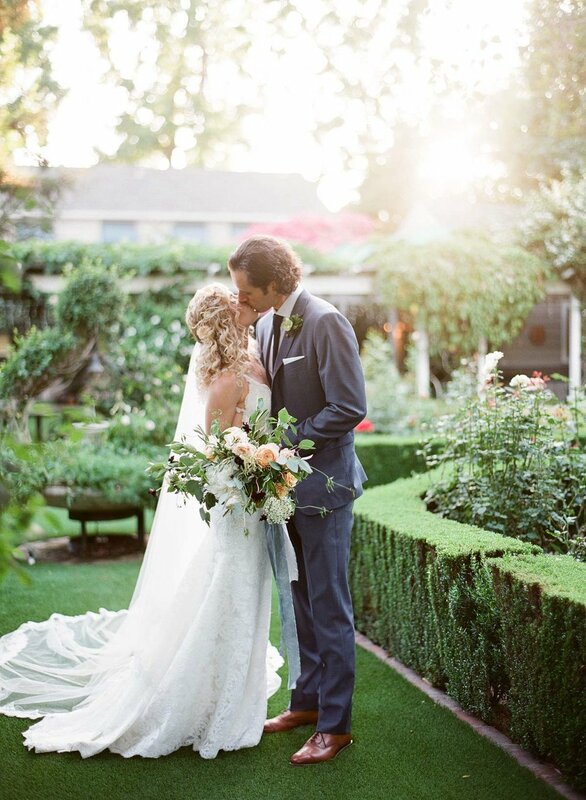 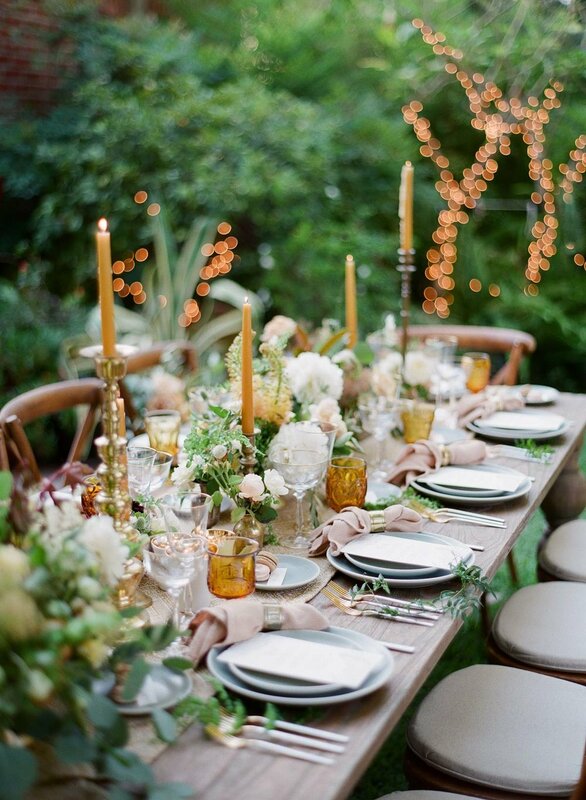 Bravo, you've just imagined Lauren's grandmothers enchanting backyard, & the site of seven family weddings including the latest being Lauren & Travis' perfect day! 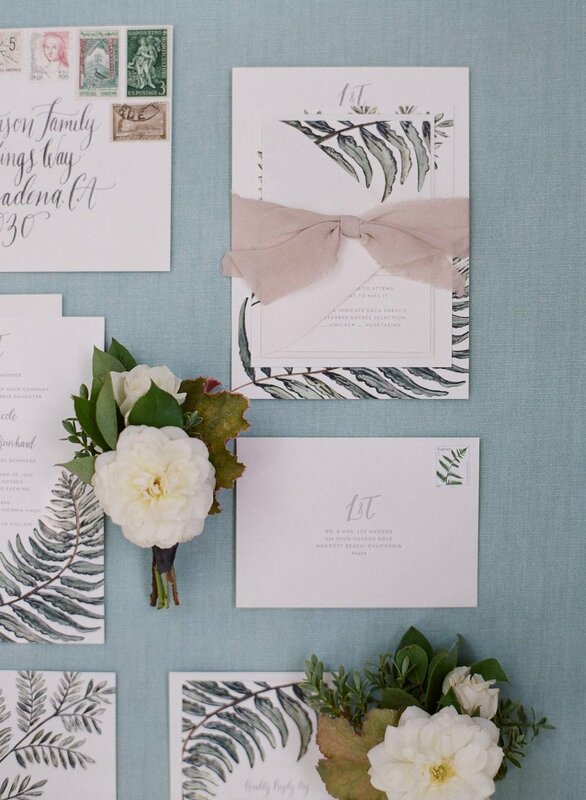 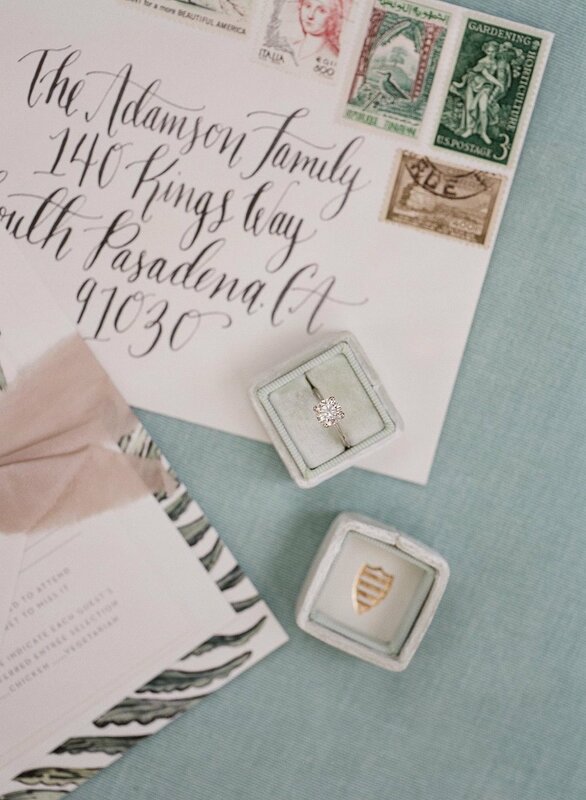 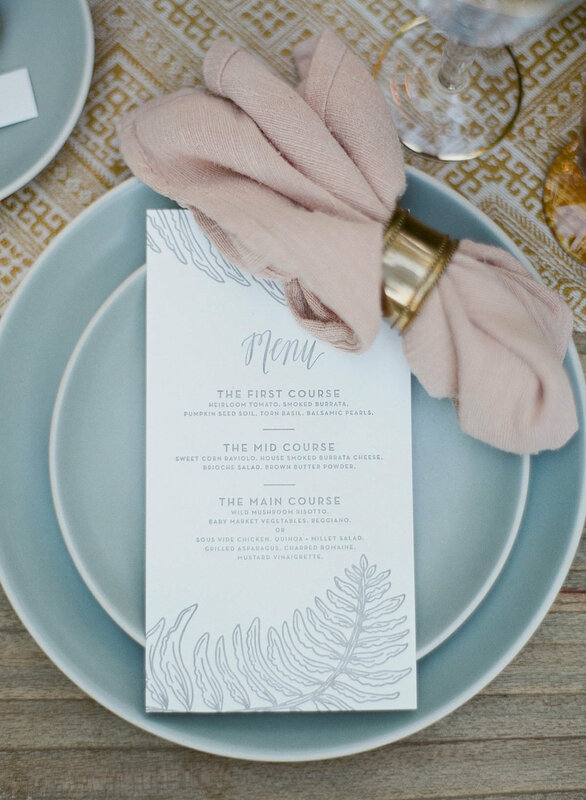 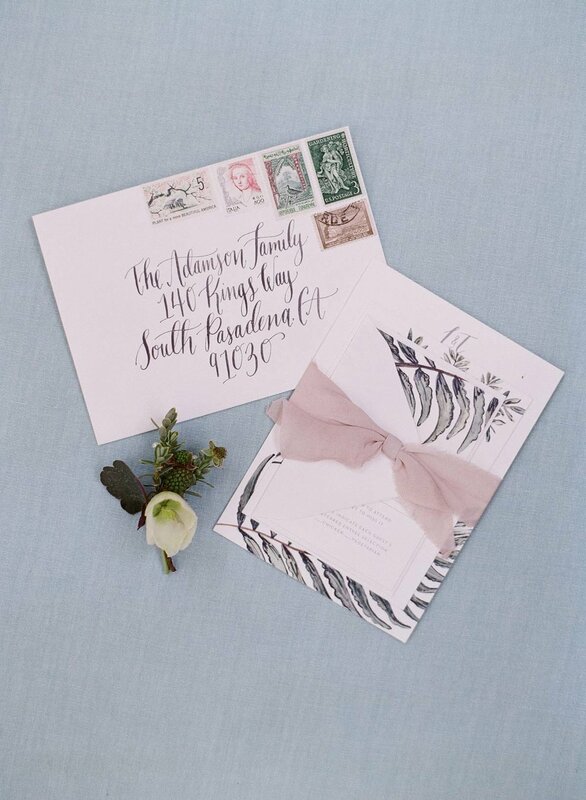 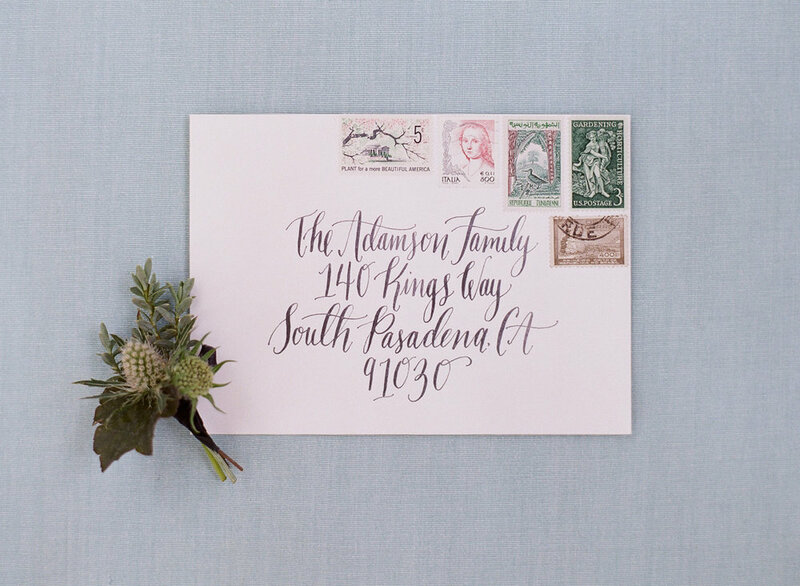 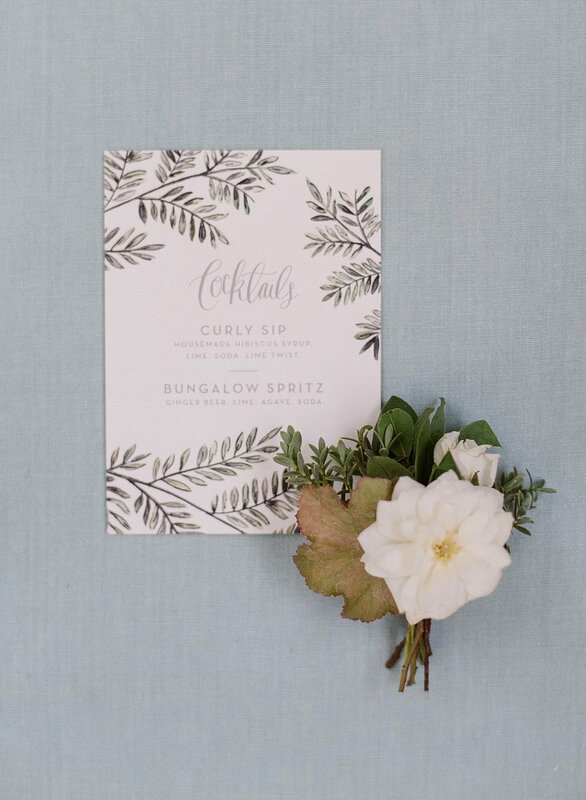 Inspired by this lovely garden the paper goodies took on a botanical flair donning dancing ferns & dazzling jacarandas & penned flowing calligraphy to add the perfect delicate touch.